Andrew (Andy) Wood has 30 plus years of experience as a health, safety, ergonomic and wellness professional. His current role at FRM focuses on serving clients on ergonomics, wellness and injury prevention opportunities. He holds a Bachelor of Science degree in biology from Hamline University in St. Paul, Minnesota, a Physical Therapy certificate from The Mayo Clinic in Rochester, Minnesota and a Master’s degree from The University of Minnesota in Minneapolis with an emphasis on exercise physiology and occupational health. Andy is a Certified Behavior Based Ergonomics Specialist, a Certified Wellness Coach, a Certified Worksite Wellness Program Manager and an Exercise Test Technologist. 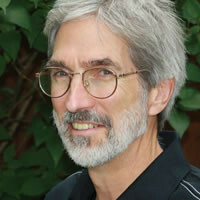 Andy spent over 25 years at General Mills, Inc. as the Manager of Health Promotion and Ergonomics. He was responsible for managing and coordinating the health promotion programs for manufacturing and sales, ergonomics, advising on musculoskeletal injury prevention strategies, and treating employees with musculoskeletal injuries in the corporate medical department. From 2008 to 2010, he was Director of Ergonomics and Corporate Solutions at Muve Inc., a joint venture with the Mayo Clinic, where he was responsible for developing and implementing activity based ergonomic and wellness programs for corporate clients along with sales and account management. While at Muve, he and his colleagues were awarded a patent for a personalized activity monitoring device. Prior to joining FRM, Andy was employed at Olmsted Medical Center in Rochester, Minnesota as Injury Prevention and Wellness Specialist. Andy has authored several articles and given multiple national presentations on the development and assessment of ergonomic and health promotion programs in industry. He is also fluent in spoken and written German. In his spare time, Andy enjoys working on the family farm in southeast Minnesota, competitive cross country skiing, hiking, fishing, and hunting, dog training and restoring antique automobiles. He is a member of American Physical Therapy Association, American College of Sports Medicine, The Human Factors and Ergonomics Society and the National Wellness Institute. Andy joined FRM on January 1, 2014.